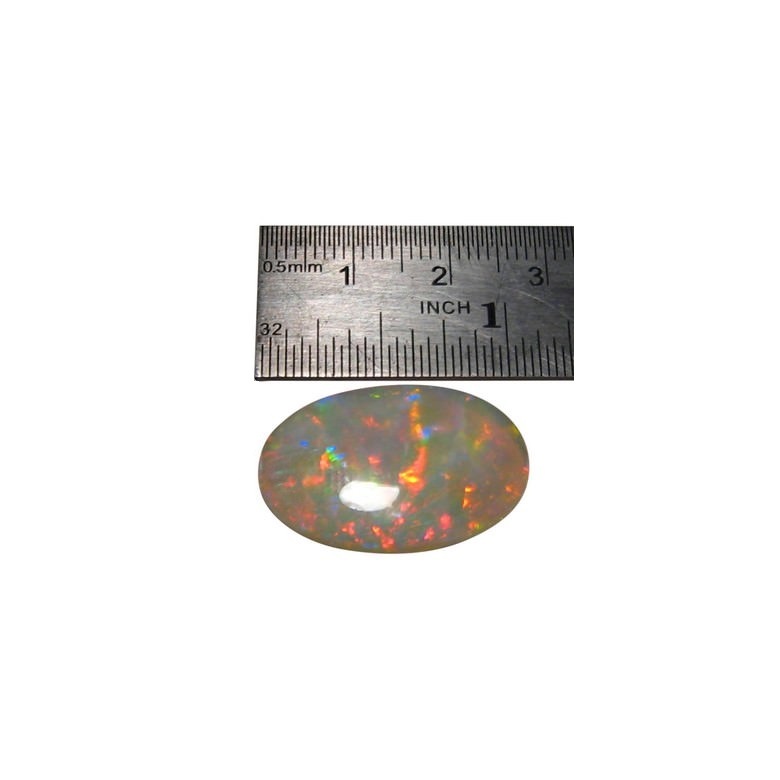 Crystal Opal stone weighing a big 12.76 carats with a very unique play of color. One only. 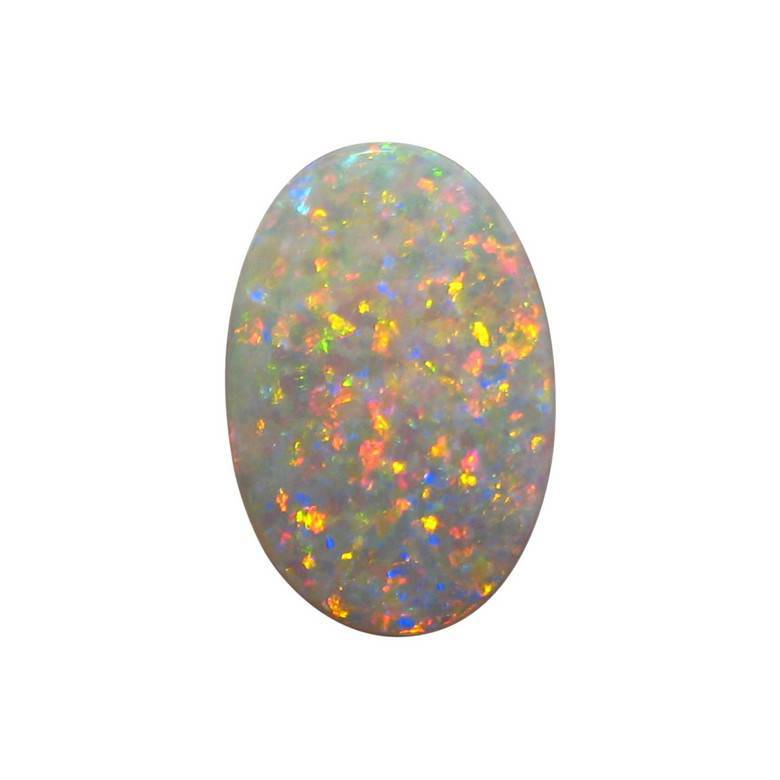 A Crystal Opal from Coober Pedy that is big in size yet full of color and a rare double sided stone with two lively patterns. 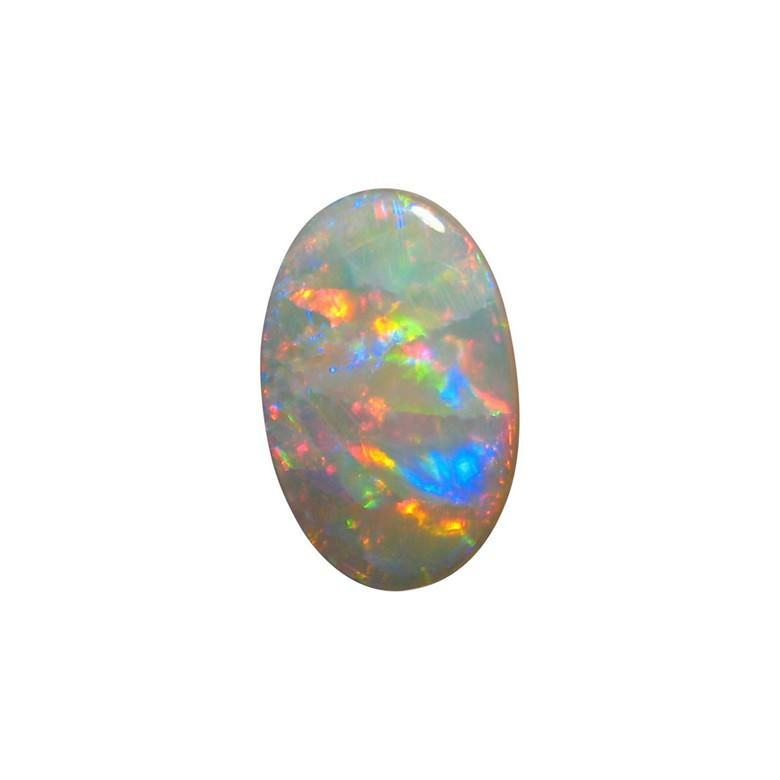 It weighs 12.76 carats, measures a little over one inch by two thirds of an inch and would make a very impressive Custom Designed Opal Pendant. 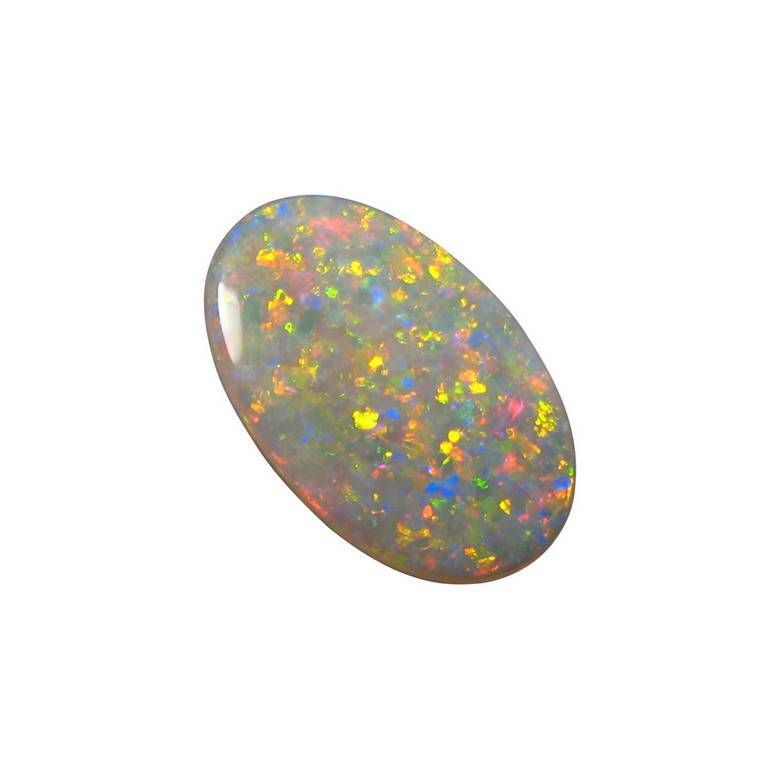 The colors are extremely bright as you will see in the video and are a fabulous mix of colors. 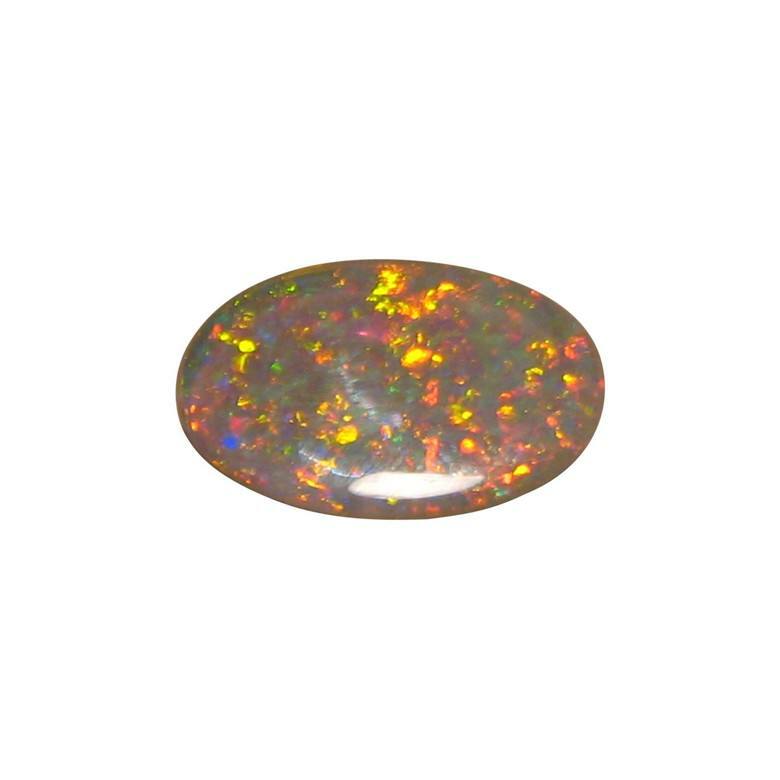 The unique and rare aspect of this amazing Opal is the two sided play of color - Harlequin Flame mixed with Confetti on the face with a Pin Fire pattern on the back. 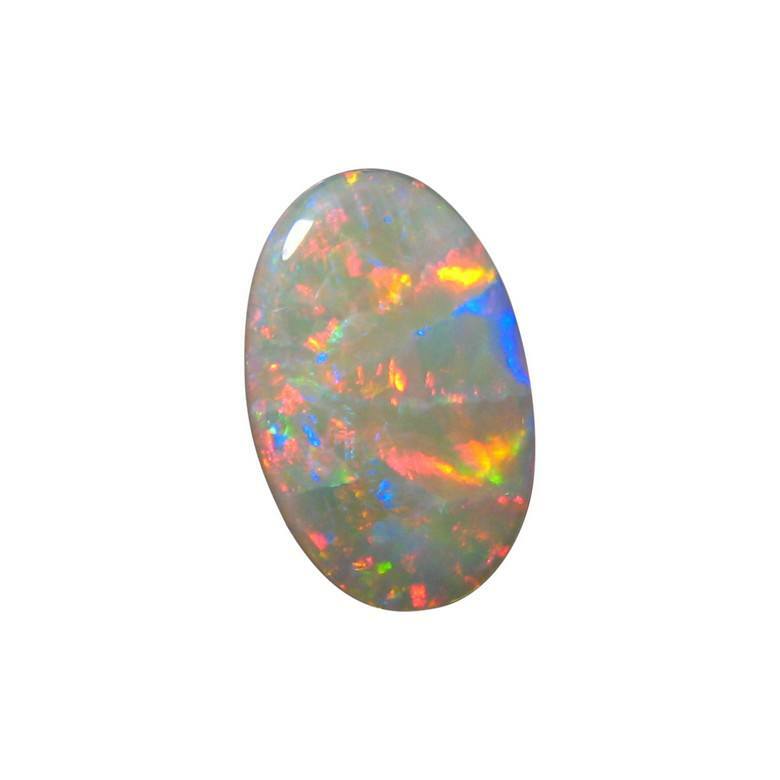 A spectacular Opal expertly cut and finished with a high polish ready to set in jewelry. Please allow at least two days before shipping. Great seller. Outstanding service and fast delivery. Highly recommend.